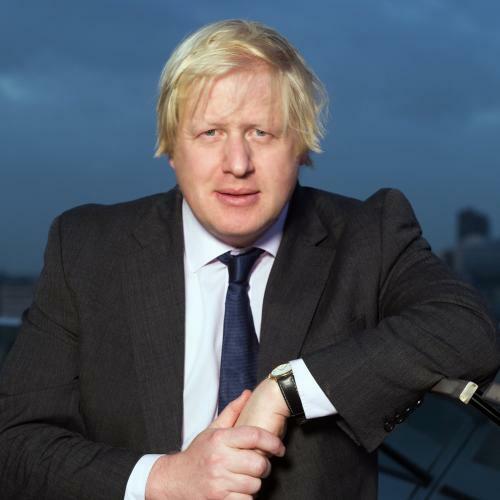 Below is the text of the speech made by the Mayor of London, Boris Johnson, to the 2012 Conservative Party Conference on 9th October 2012. Thank you first for all you did to make sure that we Conservatives won in London this year and thanks to that intrepid expeditionary force of volunteers from around the country. The busloads from Herefordshire who crossed deep along the Ho Chi Minh trail into Hackney where they of course found people’s problems aren’t really so very different after all. You showed that we can overcome a Labour lead and win even in places Ed and co are so cocky as to think they own. And if we can win in the middle of a recession and wipe out a 17 point Labour poll lead then I know that David Cameron will win in 2015. When the economy has turned round and people are benefiting in jobs and growth from the firm leadership you have shown and the tough decisions you have taken. Because for the last hundred years it has been the historic function of Conservatives to be the household implements after the Labour binge has got out of control. 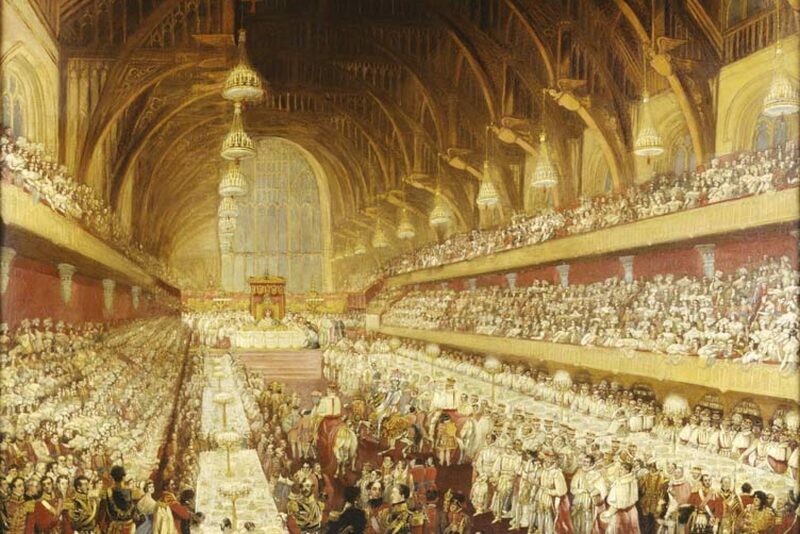 And it is thanks to Conservatives here in this hall that I was allowed to bask in the glory – often wholly undeserved, I am afraid, but never mind – of the greatest Olympic and Paralympic Games that have ever been held. I think anthropologists will look back with awe at the change that took place in our national mood – the sudden switcheroo from the gloom of the previous weeks. You remember what they were saying? When the buses were on strike and the taxi drivers were blockading the west end. And thousands of the security staff seemed mysteriously to have found better things to do. And the weather men were predicting truly cataclysmic inundations on the night of the opening ceremony. And then sometime in that first week it was as though a giant hormonal valve had been opened in the minds of the people. And the endorphins seemed to flow through the crowds. And down the tube trains like some benign contagion. Was it relief? It was surprise, wasn’t it? There we were, little old us, the country that made such a Horlicks of the Millennium Dome. Putting on a flawless performance of the most logistically difficult thing you can ask a country to do in peacetime. And some of us were frankly flabbergasted, gobsmacked. And I want you to hold that thought, remember that feeling of surprise – because, that surprise is revealing of our chronic tendency in this country to underestimate what we can do. And we need now to learn the lessons of the Olympics and Paralympics. The moment when we collectively rediscovered that we are a can-do country. A creative, confident, can-do country. But for the success of these Olympics there is one Conservative we need to thank today. One Prime Minister who loves sport and who to this day is championing cricket in inner London. Oh yes. It is thanks to John Major, who put in the Lottery that we have gone from one gold medal in 1996 to the sporting superpower we are today. And we created the conditions in training and infrastructure that allowed our young people to take on the best of the rest of the world and do better than them. We gave them the stages to perform on. The stadia in which they could show their competitive genius. And that is exactly what we have to do with the economy today. I am a Conservative. I believe in a low-tax and low-regulation economy and I believe that as far as possible government needs to make life easy. For those who get up at 5 to get their shops or businesses ready – the strivers, the strugglers – whatever the vogue word is for them today. We know who they are, and there are many in this room. The backbone of the UK economy as Napoleon almost said. For the last four years my team in City Hall has been working – as you have been working, in Government – to fight the recession and to create the conditions for a dynamic recovery. And yes, we One Nation Conservatives are well aware that in a society where the gap between rich and poor has been growing – as it did under Labour – that we have to look first to the poorest and the neediest and those who cannot easily compete and that is why I am so proud that we have expanded the London Living Wage. Now paid – entirely voluntarily – by about 250 of the swankiest banks, law and accountancy firms in London putting about £60m into the pockets of some of the lowest paid people in London. We have protected or expanded every travel concession for young people, for people in search of work, for the disabled and we have taken Londoners off the age escalator and restored the 24 hour Freedom Pass. And I apologise to the people of Labour-run Birmingham as I generally and periodically apologise to so many other cities but that is a privilege that older people have only in Tory-run London. And we are delivering it on November 1 as I promised because we have been able so to manage the budget that we have cut £3bn in waste and have not only frozen council tax over the last four years but are now cutting our share by ten per cent. But when times have been toughand when the city has been afflicted by riots barely one year ago then we need to remember that there is one virtually all-purpose cure for want and squalor and anger and deprivation, better than more benefits, better than police crackdowns and that is a job. The self-esteem, the excitement, the fun, the human interaction and competition that a job can offer. Before you even talk about the money. London is an amazing creator of new jobs. But they don’t always go to kids who grow up in London and we need to work out why and we need to look at what is happening in our schools. I am a passionate supporter of Michael Gove’s free schools revolution parents, teachers, charities are coming together to create wonderful new places of learning, like Toby Young’s West London Free school in Hammersmith or the East London Science school, led by a formidable physics teacher called Dave Perks who wants all his pupils to learn triple sciences so that they can apply for top universities and the kind of high skill jobs created by the London economy. And I don’t want a handful of these schools. I want dozens of them, right across the capital. So I can announce today that I am setting up New Schools for London to help find the sites that they need. And we are opening up the GLA’s property portfolio to find the site. And I want to boost the teaching of the STEM subjects because it is an utter scandal that we are going through a golden age of engineering projects and yet this country is short of about 50,000 engineers and there are parts of London where A level physics or advanced Maths are hardly taught. And with so many school leavers failing to find a job we are seeing a tragic waste of talent 54,000 18-24 year olds on the dole. But we have this week set out a new plan. To help the struggling middle to buy their homes. And if we invest in transport then we can not only drive the creation of thousands of new jobs in London – I am thinking of Battersea or Tottenham or Croydon – but we drive jobs across the country. I am pleased to inform you, Conference, that since we last spoke I have kept my promise to Londoners and introduced a new generation hop-on hop-off replacement for the Routemaster. They are the cleanest greenest new bus in Europe. They have conductors and unlike the hopeless broken-backed diplodocus of a bendy bus which was made in Germany, they are made in the United Kingdom. Aand that Ballymena factory has just received the biggest single order in its history. 608 of these great big dome-browed scarlet beasts. And unlike the hopeless broken-backed diplodocus of a bendy bus which was made in Germany, they are made in the United Kingdom. And when we buy new trains we drive jobs in Derby. Conductor rail from Chard. CCTV from Warwick. Railway sleepers from Boston. And if we build that platform for growth – with better education, with safer street, with more housing and better transport infrastructure then the private sector will produce amazing and world-beating results. We will sort out our aviation capacity problem. We will create new river crossings. We will regenerate East London and we will put in air conditioned and driverless trains. Wven if Bob Crow says his RMT drivers won’t test drive the driverless trains. We will continue to expand cycle hire and plant thousands of trees. We have the right time zone the right language and we have the right government in Westminster and I will fight to keep it there. We fought to keep London from lurching back into the grip of a Marxist cabal of taxpayer-funded chateauneuf du pape swilling tax minimisers and bendy bus fetishist. I will fight to keep this country from lurching back into the grip of the two Eds. Unreformed, unpunished, unrepentant about what they did to the economy and the deficit they racked up. We need to go forward now from the age of Excess under Labour. Through the age of austerity to a new age of Enterprise in which we do what we did in the Olympics and build a world-beating platform for Britain for British people and businesses to compete and win and we need to do it now under the Conservatives and we will and it begins here.